According to research, owning a home-based business is everybody's dream. No one wants to be policed around on a daily basis by his/her employer. Although our ambitions are valid, it takes a lot of discipline to establish, run and maintain a home-based business. Running your own business from home needs management skills, leadership skills, and discipline. In order to fully succeed among the world's best entrepreneurship ventures, you should start by learning from and studying the best entrepreneurs. It's also good to note that you should not wait for retirement in order to start your own business. Begin working on the business idea as early as possible and build on it, and spend quality time studying the type of enterprise you would like to invest in. All the success tips for starting a home-based business have been taken from different experts and scaled down to a single collection below. 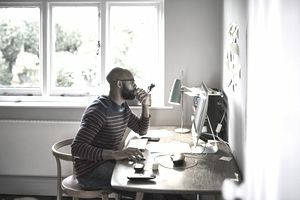 Many people incorrectly bassume that running a small business from home isn't as demanding and doesn't require as much commitment as a larger-scale business venture. However, this is not the case — when it comes to running a business all the demands are placed solely on you. You need to organize your business and keep everything running smoothly and in order so as to enjoy the benefits of a successful business in the future. Set aside a specific area in your home just for business and treat it as a business location. During working hours, keep all home activities at bay and never let them interfere with your business operation. If you have employees (even if it's just 1 or 2 individuals working for you), ensure that you have adequate parking, materials and supplies, a website and an office space to gather and work. As a business entrepreneur, it is vital for you to write down strict rules which do not allow home activities to interfere with your business activity. The main reason why many people do not have successful home-based businesses is that they allow their home life to detract from what they had planned to do for the business. Come up with a schedule which dictates your working hours and make it known to your family. It's also good to evaluate yourself and determine what time you work best. Plan your work during your most productive hours and restrict any distractions or interference. For any business idea to be developed and become a successful enterprise, there is a need for you to have a concrete business plan. The plan will act as a guideline and roadmap for success. It helps you to clearly understand your goals, prioritize the main business tasks and see whether your objectives are met on time. On the other hand, as a business owner, a good plan should spell out what to do in order to achieve specific targets. This makes it easy for you to work on on a daily basis to improve the chances of meeting your business goals. Operating a home based business should never be taken as a simple task. It requires that you invest a lot of time, dedication and sacrifice to make it a successful venture. When you do everything from home, there can be a tendency to concentrate too much on internal business activities. This leaves many home-based business owners behind the curve when it comes to current business trends. It's a smart move for you to join business associations that organize business events and conferences in order to keep you updated about emerging issues in business. As a home-based entrepreneur, it's necessary to stay connected and up to date with the latest trends and tools of the trade. Just like any other business, licensing and registration of home owned businesses is also mandatory, and every startup should adhere to all the rules and regulations set by different government authorities.